This Hose reels comes disassembled in a kit, and goes together quickly and easily without the need for tools. The sturdy, lightweight rust-proof aluminium frame means that the cart can be left outdoors in all kinds of weather. 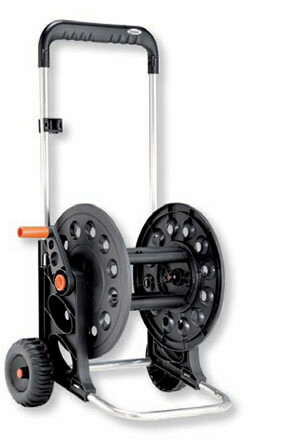 This cart also features an ergonomic plastic handle and new cross sections without sharp edges.